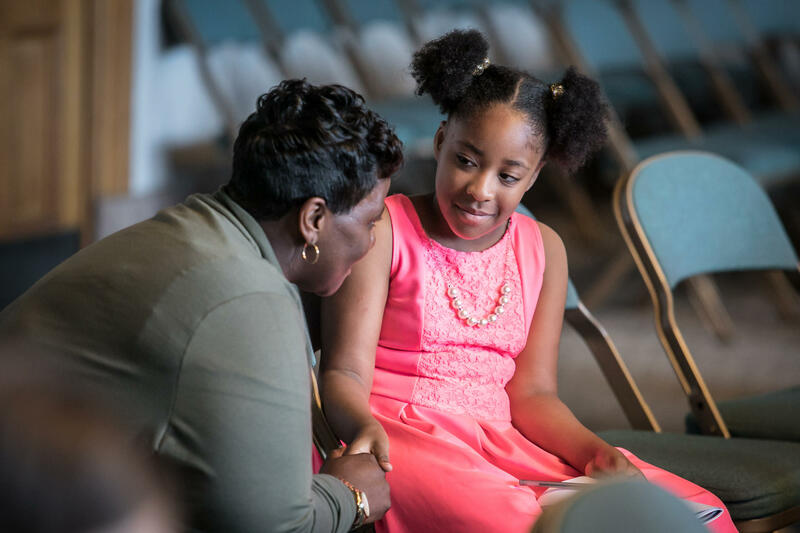 Councilwoman Tamaya Dennard talks with a young girl. 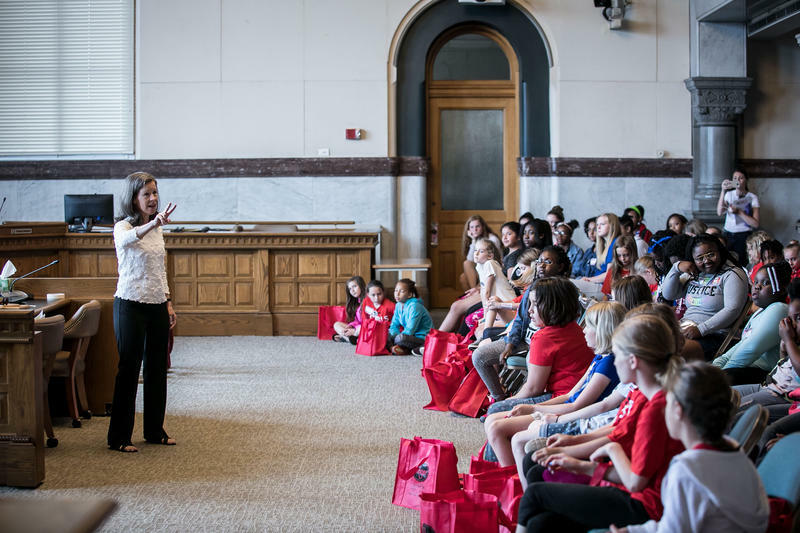 Commissioner Denise Driehaus takes questions. 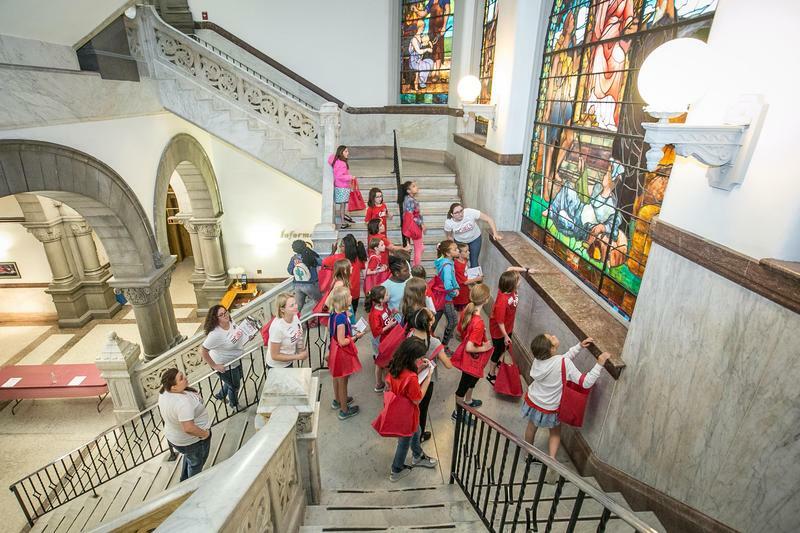 On Saturday, May 19 girls, ages 8 to 18, visited City Hall to learn the role of city government, and to meet some of the women who make it run, including Hamilton County Commissioner Denise Driehaus and Greater Cincinnati Water Works Director Cathy Bailey. 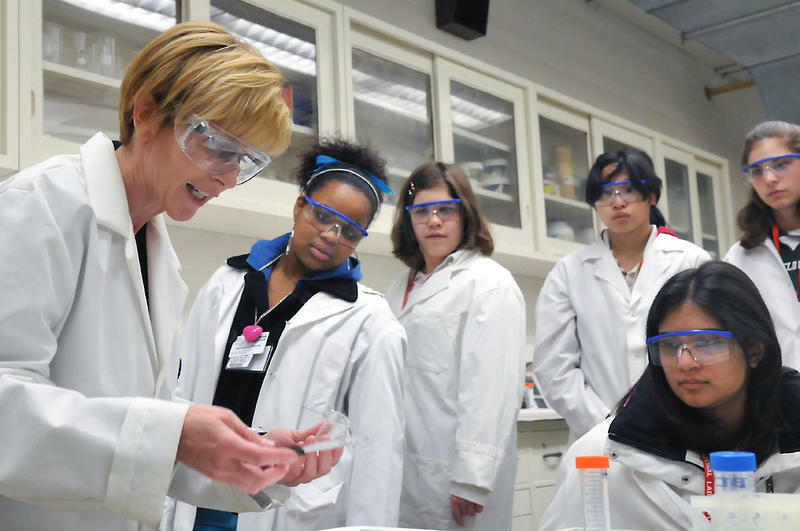 One of Dennard's hopes for the girls is that this experience can open the door to future career choices that may have been previously unexplored. 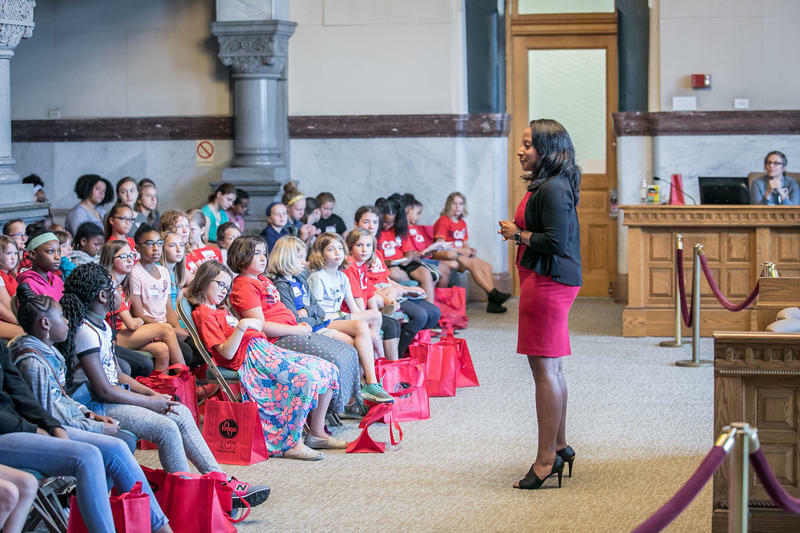 Joining "Cincinnati Edition" to discuss Girls In Government Day is Cincinnati City Council Member and Council President Pro Tem Tamaya Dennard; and Director of Community Strategy Monique Gilliam. 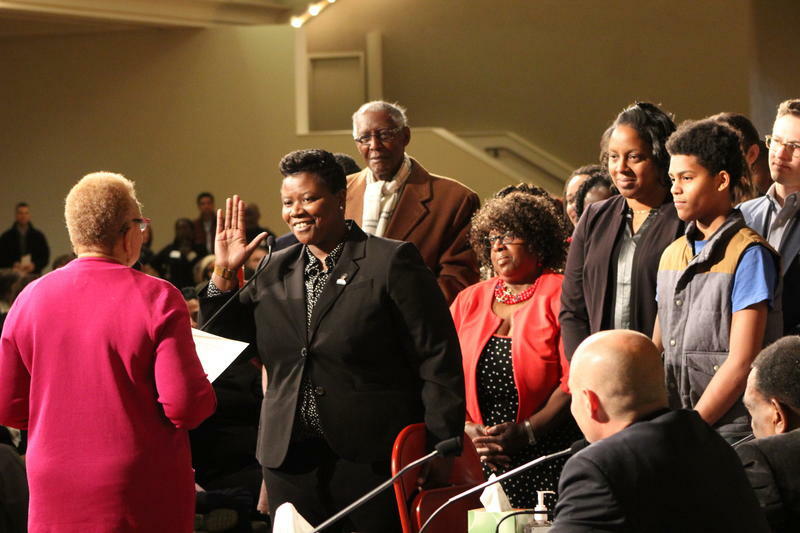 Denise Driehaus is only the second woman ever elected to the Hamilton County Commission. 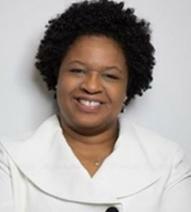 Now she is determined to make the county a more inclusive home for women and girls. 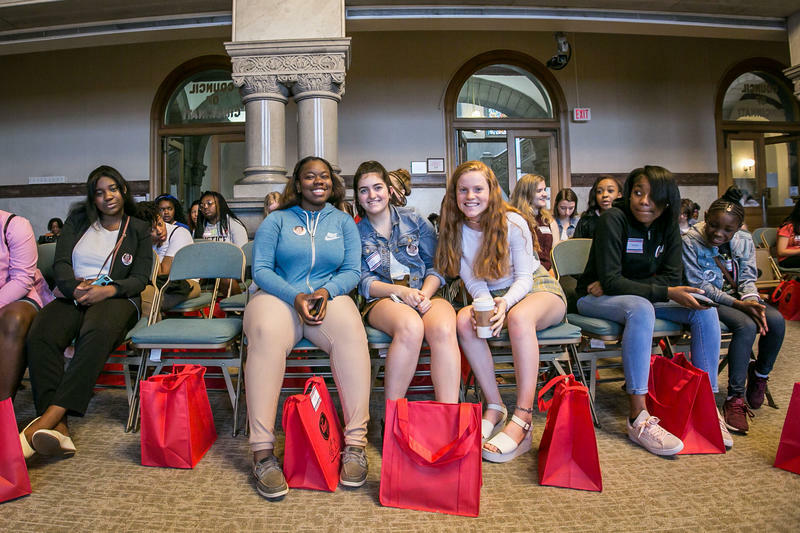 Women make up only 37 percent of Hamilton County elected officials, according to Driehaus, and only nine percent of the local CEOs.